How can trainers and talent specialists stay relevant in tomorrow’s fast changing workplace … the 4th Industrial Revolution (IR 4.0)? What skills will they need? And is your team prepared for the ride? Tomorrow’s Talent … Success comes down to talent. Hiring the right talent. And supporting and developing existing talent to ensure the organization’s workforce is agile, innovative, and constantly learning new skills. But doing all that in a world of artificial intelligence, where robots perform many of the functions that middle managers do, and where everything is connected will make the trainer’s role look very different to today. Will trainers even have a role? Think about this: Dubai Police are using a robot to patrol streets and plan to staff 25% of their workforce with robots. An artificial intelligence program replaced a digital marketing company, increasing ROI by more than 300%. Facial recognition software is revolutionizing security – who needs security guards? Our world is changing. Our workplaces are changing. Talent development and training are changing too. Big time. What’s the future look like? Tomorrow’s Trainers are Talent Specialists … Learning has traditionally been the responsibility of the training department. But when we talk about learning in tomorrow’s organization, we’re talking about much more than what has traditionally been considered the work of training. As such, tomorrow’s trainers will work way beyond the classroom and be focused less on delivering content and more on improving performance. Their role will be balancing the needs or an organization or project with the skills development needs of the people in the organization. It doesn’t mean there will be no classroom training. It’s just that trainers will be focused on performance which requires them to shift seamlessly between activities such as consulting, coaching, facilitating, making media content and much more. 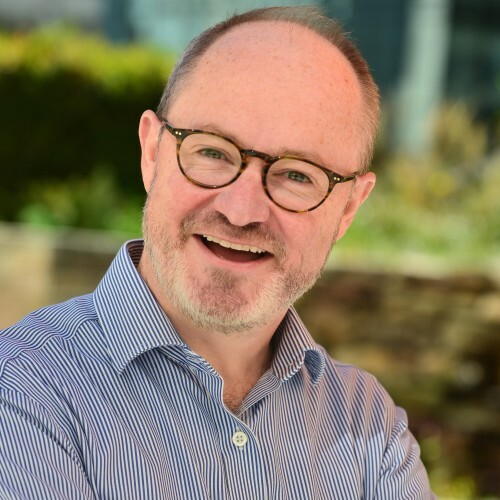 What’s Changing and How to Prepare … In this provocative keynote, author Jonathan Halls draws on his experience as a former BBC learning executive, training manager and talent specialist to companies in more than 25 countries. He’ll explore what’s changing and what that means for tomorrow’s trainers in a world of robots, artificial intelligence and deeper digital connectivity. He’ll suggest three knowledge buckets that are critical plus 7 key skill sets. For Learning & HR Professionals: 3 Knowledge Buckets & 7 Skill Sets This keynote is especially crafted for learning professionals such as trainers, coaches, instructional designers, learning executives and HR professionals who are planning their future in the world of talent development This keynote will examine three critical knowledge buckets talent professionals need to constantly stay up-to-date. And seven key skill sets they need to ride the wave into tomorrow’s world of talent development.